‘Deepwater Horizon’ Movie Review – Spotlight Report "The Best Entertainment Website in Oz"
Corporate hubris, human tragedy, and a lot of oil. Thanks to Roadshow Films, we had the chance to see Deepwater Horizon‘ before its cinematic release. This is our review of the movie, but as usual, no matter what we say, we still recommend you to go and see it at your local cinema because there is no better critic than yourself! A film based on the infamous Gulf of Mexico Oil Spill that shook the world, Deepwater Horizon gives no quarter in unleashing the horror and terror of being aboard that doomed oil rig, traumatising many and destroying its natural surroundings. Directed by the guy bringing you Friday Night Lights and Lone Survivor, Peter Berg wastes little time dilly-dallying in storytelling, and we as the audience are all the better for it. 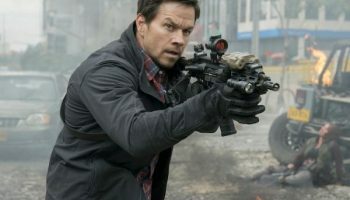 Mark Wahlberg plays the engineer Mike Williams, a family man that knows all th e ins and outs of his job maintaining the rig. The beginning of this film, like many disaster films, had an incredible amount of foreshadowing to breed the suspense and terror of it. There’s a clever scene at the kitchen table of the Wahlberg family detailing how oil drilling works, which probably gave one of the most unsettling foreshadowing presentations. What follows is our leading man coming aboard the oil rig for another day at the office, which of course turns out to be anything but. There are many tiny touches of craft that set this film apart from the generic film genre. The audio for one can be downright petrifying when the bad stuff hits the proverbial fan. Furious gas explosions and their fiery reach blast with a roar and a tremble. This makes our beloved characters stuck on a platform in the middle of the ocean, making it all the more frightening. Same goes for many other things including the lethal, sharp shards of debris flying out of the explosions across the oil workers, which miss some by inches and impale others to death. All these details harnessed makes this disaster a tension-filled and terrifying experience to all. The cinematography is also delicately done to highlight the scale of this event and what it’s like to be on board an oil rig. 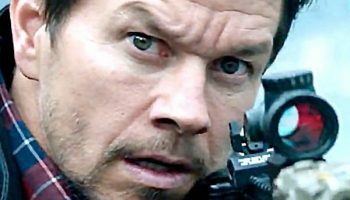 Panning shots of the various platforms pay tributes to the complex engineering that Wahlberg talks about to his higher up BP executives (classic hubris-filled, m oney-caring, businessmen). The camera also paints the endearing working culture of the employees who work tirelessly aboard the vessel. Workers are like family to each other who share their own inside jokes in different departments of the oil rig. The shots of laughter and hard work expressed by rugged, oil-ridden men with tin hats help imbue the sense of down-to-earth comradery jeopardised when their world goes boom. Kurt Russel plays Mr. Jimmy, who is the head honcho of the oil rig who everybody looks up to with loyalty. Russel lives his role as the unspoken parent and leader of the oil rig, trying to look after everyone as much as possible, whilst dealing with the complicated bureaucracy of BP executives above himself. 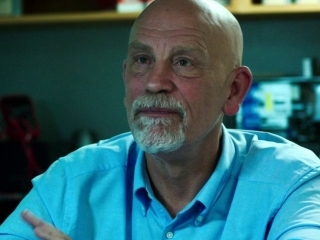 Our sort-of villain megalomaniac is BP representative Donald Vidrin e, who is played by one of cinema’s most favourite eccentricities: John Malkovich. He does his job just fine but just a bit too tame compared to so many other films. Deepwater Horizon is one of many films combining the fictional portrayal of the true event with a documentary-style ending to highlight the significant impact of its real-life counterpart. It doesn’t feel cheap thanks to its harmonious flow of editing and makes you feel even more emotionally invested into this whole incident and the individuals behind it. Deepwater Horizon is a powerhouse of a drama-thriller. It’s refreshing to see a disaster movie based on a true event done so respectfully well.